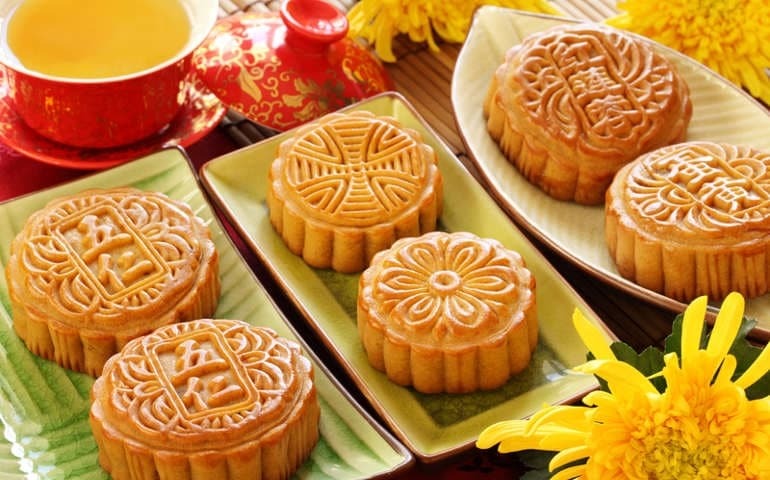 It was time for the Chinese Quest to return to their roots. Two of our last three Quests took us to Flushing, NY. We had to find our selves again. Center our being. Get back in to the ‘hood. And when we got there, we nearly missed it. It sure looked closed and out of business from the outside (see the picture below). But, we’re smart Jews. We’re literate. We know how to read. The sign said “Open for Business”. That must mean that they’re open for business. And, oh what a schlep it was to get there. Oy vey! There’s a sushi bar in the restaurant. We didn’t order. In fact, the fact that there was a sushi bar nearly disqualified the restaurant. However, we did some research and learned that sushi didn’t come from Japan. It originated in China. (check wikipedia if you don’t believe Mee). So, Cho-Sen Island was back…. and we were there. The restaurant also has a full bar (though no one was sitting at it, but they do serve a full slate of drinks). The mai tai’s, I must say, were fabulous. Ok, was fabulous. I just had one. Could have had another… but, we did some pre-gaming of another sort prior to walking in (different kind than the kind I referred to in my prior blog entry). We left full, bloated in fact (none of us were hungry an hour later… I purposely waited not to post this review for 24 hours just to see when we’d get hungry again). There were left overs as the food was very filling. But, we didn’t fight over who was NOT going to take it. It was taken home gleefully. The meal was capped off with a desert platter of oranges (yummy), honeydew (ok), and of course, fortune cookies. 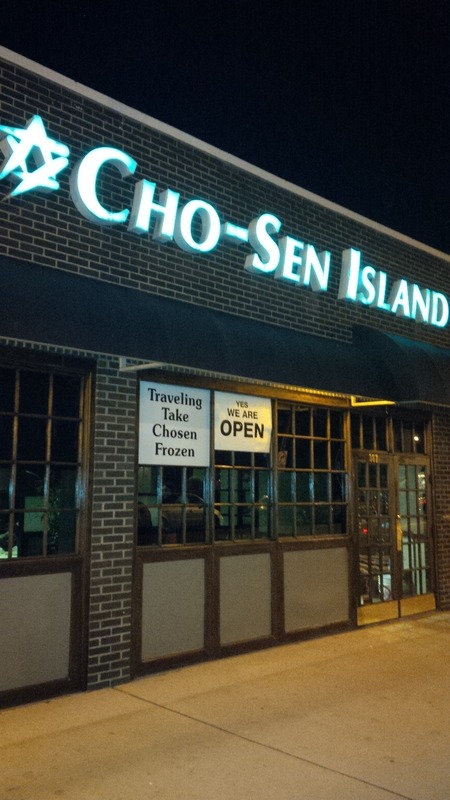 With happy tummy’s, we each rated our Cho-Sen Island experience. And here are our ratings…read more! 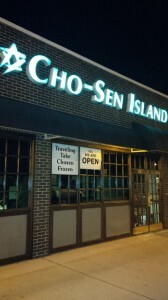 Next: CHO-SEN ISLAND-ITS NO SHONDA, I’M KINDA FONDA!!! 30 years ago (more or less) we had a store on Central Ave., not far from where Cho-Sen Island are located. The majority of the population in the 5 towns was not all orthodox then, and you would find many high-end stores and restaurants. Wednesday nights, the stores stayed open until 9PM, and it was the busiest night of the week. People would be strolling up and down Central Ave. Most business and restaurants have changed since, to accommodate the changed local community who grew more orthodox. I remember there was a Chinese restaurant around that was very very good. 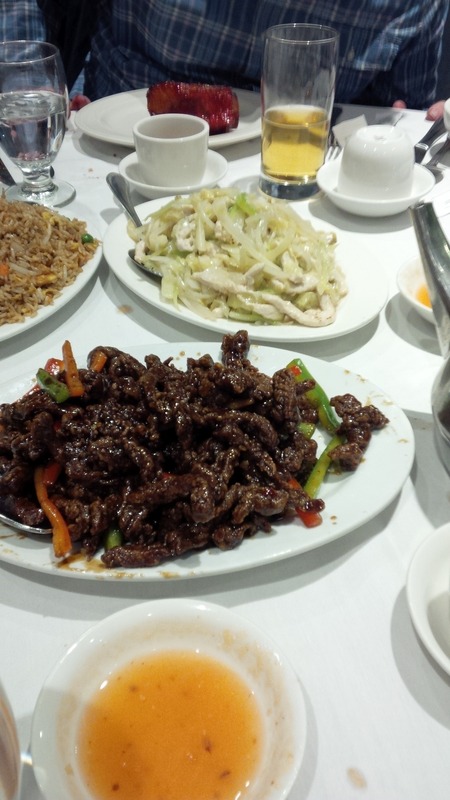 The reason I remember it so vividly is because it was the first time I ever had Chinese food, and I always ordered the Shredded beef. I can’t tell you if is in the same location as this one and they since changed owners, or its a different one all together. but I DO remember the food was very good and I couldn’t quite enjoy Chinese food after that. The picture you took of that dish – is exactly what I remember having, and reading your review brought back up a lot of memories for me… As for the steaks and sushi they are offering, knowing the area, the restaurants must do that to survive. there aren’t many glatt kosher restaurants and the more variety they offer, the more patrons they attract. They really have to do that to survive – and stay profitable. 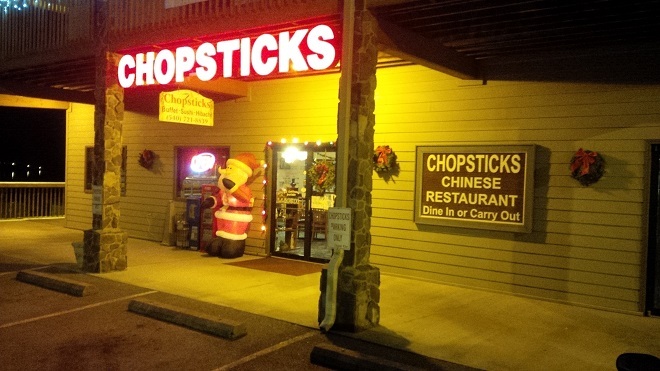 As you said – it is a hike and not many “outsiders” will make the trip to eat there. Perhaps that will change now after more of us read your review. I am for one willing to travel from where I am (about an hour drive) to eat that dish again. So… Thank You for that! !